Ultrasonic Flaw Detector TUD 200 is used to test, evaluate and diagnose the various kind of flaws such as unmelted weld joint, inclusion, cracks etc. This product is mainly used in construction and engineering sector. It is the best product to detect the flaws, which cannot be detect by human eye. It is a portable product and easy to use. 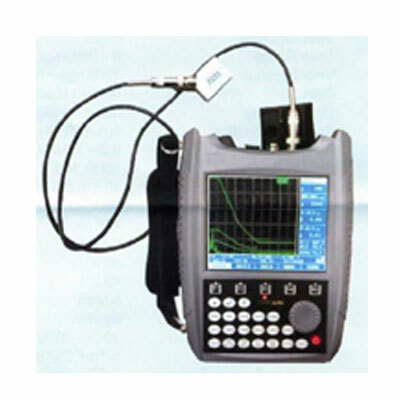 India Tools & Instruments Co. is the well-known Ultrasonic Flaw Detector TUD 200 Manufacturers. Our product range is highly reasonable and quality based. Our quality team ensures to deliver the best products that are genuinely tested. Being the best Ultrasonic Flaw Detector TUD 200 Manufacturers, Suppliers, and Exporters we also provide doorstep delivery services to our clients, to help them to get the product more easily. Keep in touch to know more. We are an acclaimed exporter of precision-engineered Ultrasonic Flaw Detector, which is fabricated using quality-tested components and material. To ensure exceptional quality product delivery, we have framed strict quality which enables us to maintain quality in the products and the process. Owing to consistent innovations and improvements, we have offered most desired Ultrasonic Flaw Detector to the clients. ITI-1700 Portable Ultrasonic Flaw Detector can test, orient, evaluate and diagnose various flaws such as unmelted weld joint, unpenetrated weld defect, crack, inclusion, air hole in worklpiece’s interior swiftly and accurately without any destruction. It is widely used in fields of power engineering , boiler pressure vessel, Steel Construction, war industry, aeronautics, rail transportation, auto and machinery etc. It is the essential instrument in NDT industry. • 100 independent channels optional, parameters can be set and save freely for variety of inspection procedures and standards, outdoor applications without test block. • Square wave pulse generator, amplitude and pulse adjustable, suitable to detect flaw of work pieces of various materials and different depth. • DGS(AVG) curve available for flaw detecting of casting work pieces. • Peak value inside gate captured automatically. • Convenient automatic calibration function for normal probe, angle probe. • Curve surface compensation function detecting the diameter to calibrate flaw position automatically. • High light electroluminescent, screen viewable in strong light, weak light, as well as sunlight. • Waveform and channel parameters directly saved into U disk, easily to be processed on PC with software. • Directly connected to printer for report and wave printing.